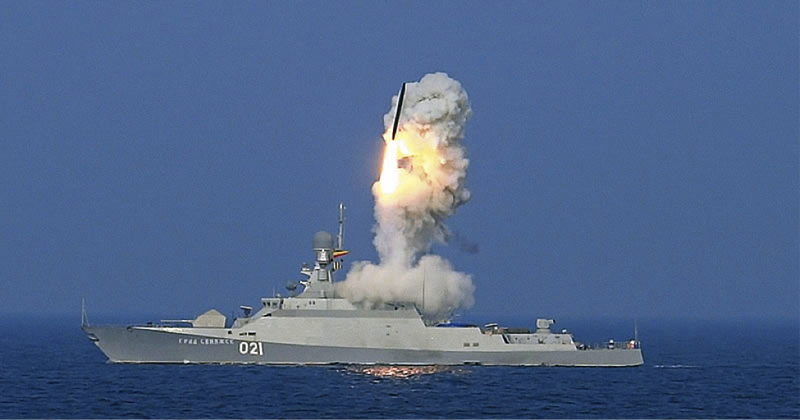 Yesterday, Russia fired off no less than 26 of its new Kalibr cruise missiles from ships in the Caspian Sea, all were aimed at 11 targets in Syria. Because of their launching location, the missiles had to fly through northwest Iran and northern Iraq to make it to their targets in Syria. CNN reports that a number of cruise missiles belonging to Russia have crashed in Iran on their way to their targets in Syria. It is not exactly clear if these crashes occurred during a new round of attacks today or if officials are referring to yesterday’s launch, although they say there may have been casualties associated with the wayward missiles. Yesterday, Russian officials claimed that all the missiles they fired made their way to their targets precisely, over a range of almost 1,000 miles. This is unlikely as even the highly-proven American BGM-109 Tomahawk, with over 2,000 uses, still experiences an occasional failure. The use of cruise missiles launched from Caspian Sea against targets in Syria is questionable to say the least. Russia has has a small air force forward deployed in Syria capable of striking harder than a Kalibr cruise missile can. Since there is no anti-air threat aimed at Russia in Syria, they could simply use their fighter and attack aircraft to strike these targets instead of sending expensive missiles through two of countries to do so. The only reason for such peculiar weaponeering is that Russia aims to show off its capabilities in the region and to fly over Iraq in defiance of the United States and its coalition partners which are busy operating in that same airspace. Additionally, all the ships and missiles used in these attacks are for sale. In other words, demonstrating their capability on the world stage is great marketing. But doing so is not without risk. If Russian cruise missiles did crash in Iran, harming Iranian civilians, it could cause the first fracture in the increasingly tight alliance between Iran and Russia. One that is detested by many western world powers.